Two junior nurses who were sacked by the management of Royal MMR Hospital at Dansoman over the weekend for allegedly taking to Facebook while on duty are begging for clemency. 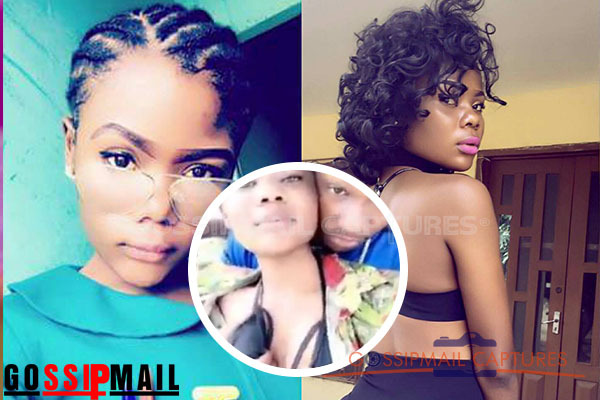 The two nurses, identified as Trudy Ewurama Marcel and Ramatu, in their uniforms, allegedly took to Facebook in a six-minute video that went viral after Adom FM had shared it on its Facebook wall. After the public backlash over the alleged misconduct and unprofessional acts of the duo, the management in an emergency meeting sacked them from the workplace. The Medical Director of Royal MMR hospital, Dr. Mohammed Donkor who confirmed it to Adom News said the two were fired because their conduct was in breach of the health facility’s regulations. On Accra-based Neat FM Monday, Trudy Ewurama Marcel conceded their conduct was unethical but insisted it was done after their shift. “We admit it was a mistake but it was after work and we decided to stay for a while and we did the Facebook live but I suspect someone is behind this because the video was shot in April” she bemoaned. She could not fathom why a video was recorded on 23rd April, 2017 has now gone viral leading to her suspension from work. Trudy Ewurama Marcel said she is now at home hoping to be called by the hospital after its investigations. But the Medical Director at Royal MMR Hospital, Dr. Mohammed Donkor maintained that the two have been sacked. He said the two will not be recalled even after its investigations because they have brought the name of the hospital into disrepute.